CPG brands know they need to embrace e-commerce channels to thrive in today’s market. Experts predict that by 2025, 10% of global fast moving consumer goods (FMCG) sales will be via digital channels, with US online grocery sales reaching 20%. Even large, traditional CPG companies from P&G to PepsiCo are revising their business models to stay ahead of the ever-changing consumer preferences in the marketplace. The challenge for CPG brands is—and has always been—access to customer data to drive effective online sales. This shift to e-commerce is forcing CPG brands to explore opportunities to acquire and use customer data to boost sales in the digital space. Even with more e-commerce opportunities, there still lies a gap in data assets that CPG brands need to solve for. CPG brands are now building dedicated teams specific to e-commerce and giving consumers the option to purchase products directly off their websites. Similarly, in response to an increase of subscription services in the CPG space, such as Daily Harvest, traditional companies are introducing on-demand delivery in an effort to win back marketshare. While companies are increasingly adopting e-commerce, their reliance on third parties—namely Amazon or shop-at-home grocery services like PeaPod—leaves a big gap in the first-party transactional data that brands can see. Although there is a wealth of transactional data available to brands using a direct-to-consumer (DTC) e-commerce model, CPG brands typically cannot compete at scale in DTC due to infrastructure and supply chain requirements, differentiation and ultimately the ease that a one-stop-shop like Amazon provides. Therefore, for many CPGs, increasing spending in e-commerce means driving business through various retailers’ digital storefronts. Although this gets CPGs into the e-commerce game and can provide brands with new opportunities to understand, identify and reach their consumers, they are still in a situation where direct transactional data is limited. For example, a brand selling through a retailer’s digital storefront will be able to understand which products are performing, and test out how consumers react to variables like product name, description and image, but they won’t have access to individual-level purchase data to see exactly who’s buying. What can CPG brands do to compete? In order to effectively understand and reach consumers, brands need to partner with e-commerce platforms that can help bring second- and third-party data together with their first-party data. Ultimately, accessing transactional data in this more sophisticated way will help brands overcome inherent data gaps and develop better insights that will lead to improved business and marketing outcomes. Identify, collect and incorporate robust first-party data. CPG brands can get this through self-reported (survey, registration, quiz or poll), behavioral (email and web response/visit, promotion response) or appended resources (Epsilon Data resources). As walled gardens such as Facebook, Amazon and Google become stricter on what data can be used for targeting, first-party data is critical for activating media. This data can be enhanced with second- or third-party data to provide richer insights and targeting scale. Centralize data across the organization. Instead of keeping consumer data siloed within marketing, within one brand group or within IT-enabled platforms, CPG brands need a centralized source for information. This allows for fast access to in-depth analytics, which will generate deeper actionable insights. Invest in modeling and data science. This allows CPG brands to leverage available data most effectively and laser-in on the most profitable audiences. Leverage data-driven CRM and email communications. Working in tandem, these channels allow you to reinforce e-commerce messaging and ensure that e-commerce opportunities are always one click away. Keep a laser focus on iterative testing and measurement. Focus on email engagement, digital ads, promotions and other owned properties. This will allow brands to create models that are more closely predictive of e-commerce activity, and ultimately achieve the scale needed to drive revenue growth. 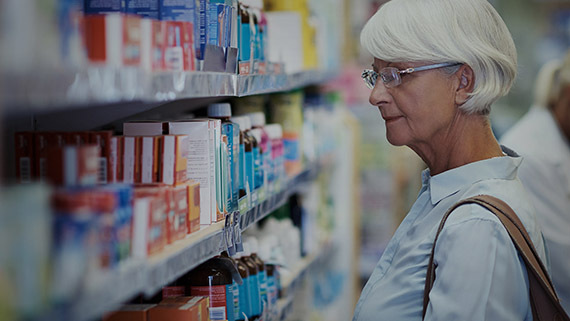 CPG marketers can enhance their first party data—behavioral and demographic—with transactional data sources to more deeply understand, respond to and anticipate their consumers. As it’s no secret that e-commerce is only going to become more prevalent and embedded in consumer behavior, it is imperative for CPG brands to embrace this new business model. In today’s age of data driven marketing, there is no better way for a brand to drive greater efficiency and impact in its marketing and sales efforts, than to infuse consumer data into their e-commerce efforts.